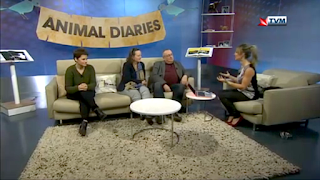 Alexander Johnson and Gabriele Ruttloff had been interviewed by Maltese premier TV station TVM during March 5th episode. The clip will be available for a few days only, until March 12. For viewers not familiar with the Maltese language, forward to ca. 03:25 when shortly after the interview will switch to English. The interview ends at around 18:00. Hi there, and thanks for stopping by. How's the stray cat situation in your country?